We have been working hard the last few months to complete our first Video Training course on MicroStation. Our first title is MicroStation V8i (SELECTseries) User Update which focuses on all the updated tools from V8 2004 and XM. The Video Training for V8i (SELECTseries) Update contains realistic Civil lab examples. Live Instruction – We have taken a new and innovative approach to online teaching. We are bringing the instructor to you via live-recorded video sessions where you feel like the instructor is right there in the room with you. Search All rGuides – The Digital Library has a next generation natural language search engine that allows you to search the content in all your rGuides. Boolean operations allow you to refine your search as well as refine the search option that gives you the ability to add a new search term for the current set of results. 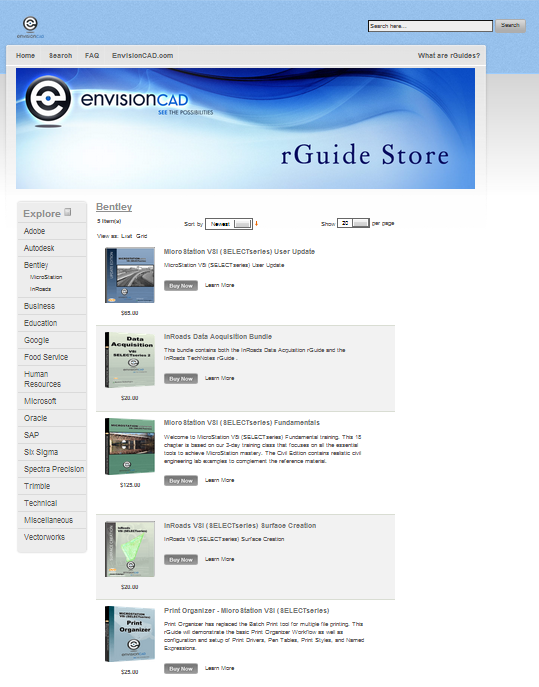 Group rGuides by Topics – In your Digital Library you can create Categories (or Shelves) to store topic related books. Searches can be done on all categories or by category. Instant Updates – any time content is updated in an rGuide, that update is instantly available to you and your rGuide in your respective Digital Library. 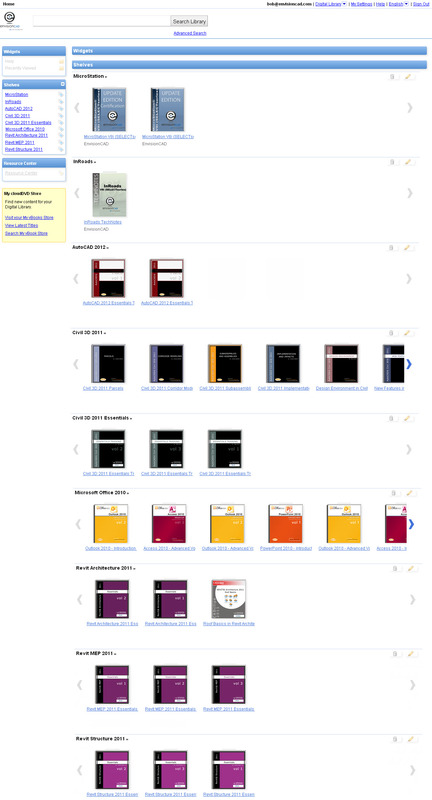 Each Digital Library is unique based on the rGuides you have purchased and how you have organized them in categories. It is organized in one easy to use information management system. Content from multiple sources (reseller, consultants, company information) can all be accessible from one location. Additional Video Training titles now available include MicroStation Fundamentals, Print Organizer, InRoads Surface Creation and InRoads Data Acquisition.